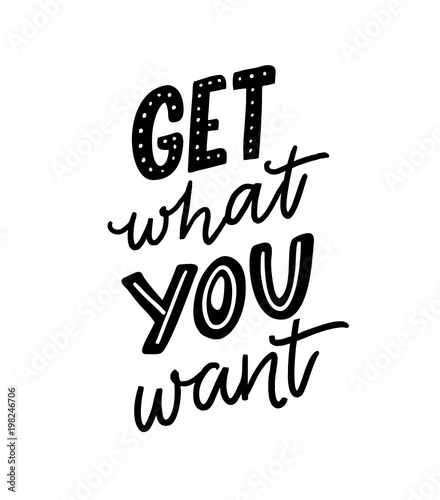 Get what you want. Motivation quote for posters and apparel design. Hand letteing inscription.